The Catholic Church is often wrongly seen as a repressive force against women. In his video for this month, Pope Francis underlines the dignity and equality of women, asking us to take a stand against the discrimination and exploitation of women. Far earlier than anyone expected, and even before Erfurt, which has been vacant for 18 months, Cologne is given a new archbishop. 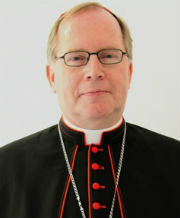 Succeeding Cardinal Meisner, who retired in February, is Cardinal Rainer Maria Woelki, until today the archbishop of Berlin. A native son of Cologne, Cardinal Woelki was a priest and auxiliary bishop of that ancient see until he was appointed to Berlin almost exactly three years ago. This German-language video profile of the cardinal gives a hint of why Pope Francis chose him to head Cologne. Responsible for the caritas of the German Bishops’ Conference, Cardinal Woelki explains that the care for the poor is one of the three pillars of our faith, next to proclaimation and worship. His parents having been refugees from eastern Prussia after the war, Cardinal Woelki is especially sensitive to the plight of refugees. Himself a resident in the subburb of Wedding, where his neighbours are mainly immigrants and labourers, Cardinal Woelki made an effort to meet with representatives of the Roma and other immigrant communities very soon after arriving in the German capital. The new appointment, despite the generational differences, can be seen in continuity with Cardinal Meisner. Cardinal Woelki worked with Meisner as a priest and auxiliary bishop and is considered to be a confidant of the retired cardinal, whose personal secretary he was before being made a bishop. But Woelki also seems to be on a line with Pope Francis, as he emphasis the need for renewed pastoral approaches to homosexuals and remarried persons. 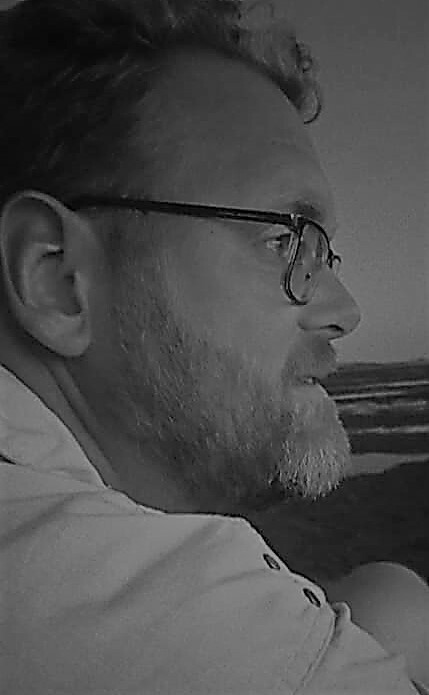 Like Meisner, Woelki is rumoured not to have been the choice of the cathedral chapter of Cologne, who had, it is said, put the names of diocesan administrator Msgr. Stefan Heße, Bishop Stephan Ackermann of Trier and Bishop Heiner Koch of Dresden-Meiβen (the latter, like Woelki, also a former auxiliary bishop of Cologne) on the list they sent to Rome. But, as happened in Freiburg in April, the Pope used his freedom to choose another. Cardinal Woelki is generally quite popular with faithful and media for his clarity and pastoral aptitude in the headline topics of sexuality and the position of women in the Church. 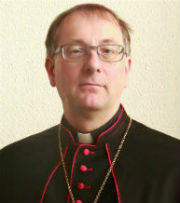 Regarding the former he has said he doesn’t want to police the bedroom, and concerning the latter he has entrusted several offices and duties in the Archdiocese of Berlin to women. The Church can not be an exclusively male club, he has said, and at the same time he supports the impossibility of ordination of women. But, as always, there are also topics for which he has been criticised, and these mainly have to do with decisions made regarding the efficiency of managing the Archdiocese of Berlin. Parishes are being merged and united into larger bodies, as they are in more than a few Northwestern European dioceses, and this has led to criticism regarding democracy, influence from the ground up and the distance between curia and faithful. Whether this will be an issue in Cologne, which has some 2 million faithful compared to Berlin’s 400,000, remains to be seen. Cardinal Meisner headed the archdiocese for 25 years, and since Cardinal Woelki is only 57, we may be looking at another lengthy and influential period in Cologne’s history. German Church ponders reforms, but does she go the right way? A conference in Germany, held last week, in which the Catholic bishops of that country participated alongside some 300 experts to discuss reform in the Church, led to some worrying developments. Archbishop Robert Zollitsch, president of the bishops’ conference, presented some of this at the conference’s closing. The first suggestion is to allow women to be ordained as deacons. According to Archbishop Zollitsch, this would be one of the reforms that would allow the Church to regain credibility and strength. 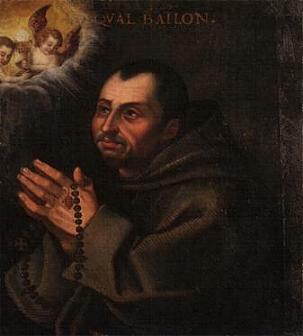 But, as Regensburg’s Bishop Rudolf Voderholzer (the last German bishop to have been appointed by Benedict XVI) rightly commented, the diaconate is inextricably bound to the priesthood, which is only open to men. Allowing women to be deacons would make them different deacons than men: unable to progress on to priestly ordination, it remains to be seen what their duties in liturgy and parish would and could be. Whatever the case, they will not be deacons like men are deacons. A second suggestion regards the position of divorced and remarried people in the Church. Their rights to sit on parish councils and the like is certainly open to debate, but their partaking of Communion and the other sacraments is another topic altogether. Archbishop Zollitsch said that he doesn’t intend to undermine the sanctity of marriage, but also wants to take these faithful seriously and make them feel welcome and respected. Personally, I think that much greater progress may be made by the Church, as far as her credibility is concerned, in presenting her faith seriously and acting on it. But in the end, the Church is not in the business of being credible and liked. She is in the business of saving souls, and that purpose is not served by pandering to majority opinion, especially when that opinion does not gel with the faith of the centuries. In that respect, divorced and remarried faithful will be better served by good teaching and compassionate guidance, and not by pretending that there is no problem. Problems are not solved by ignoring them. Throwing the diaconate open to women, even if this were possible, also will not solve any problem, assuming there even is a problem. Instead, it will only confuse people as to what is true and real; it will be a pretense. Conferences on reform in the Church are actually bound to fail if they limit themselves to one country. The German bishops, for example, are not able to change the faith and teachings of the world Church. At most, they can create a rift between themselves and the rest of the Church. So what if a conference finds that there is a widespread desire for one thing or another? The standard response of the Church to that should not automatically be to agree and go along. Rather, she should consider it in the light of the faith and then decide of that desire is something she can work towards making reality. If she finds she can’t, her task is to teach, always motivated by love, and present the faith that Christ has given her to protect and communicate. Posted on May 3, 2013 Categories World ChurchTags archbishop robert zollitsch, bishop rudolf voderholzer, communion, diaconate, divorce, german bishops' conference, germany, liturgy, marriage, pope benedict xvi, priesthood, reform, sacraments, women7 Comments on German Church ponders reforms, but does she go the right way?